Relojes Ebel. El Catálogo de relojes Ebel es un reflejo de su historia, y su historia forma parte de la esencia de la más pura tradición relojera Suiza, La Historia de los Relojes Ebel comienza en el año 1911 cuando Eugène y Alice Blum crean la marca EBEL. Origen del nombre: Eugène Blum Et Levy. 1912: Lanzamiento del primer reloj de pulsera EBEL. 1914: Medalla de Oro en la Muestra nacional de Berna, Suiza. 1918: EBEL produce los relojes Lipp. 1925: EBEL gana el "Grand Prix" en la Exposición de Artes Decorativas de París. 1929: Diploma de honor en la Muestra de Barcelona. Charles Blum se une a la compañía. Lanzamiento del movimiento "baguette" para relojes de joyería. 1930: Primera Feria de Basilea. 1931: Western Electric crea un nuevo instrumento para comprobar la precisión de los relojes. 1932: Lanzamiento del reloj de viaje "Mingnonette". 1935: Diploma de honor de la Muestra Universal de Bruselas. EBEL presenta el nuevo sistema de medición de precisión de Western Electric. 1939-45: Durante la guerra, Ebel suministra relojes al ejército británico. 1946: Creación de una nueva fábrica. 1949: EBEL participa en la primera Exposición de Relojería y Joyería de Ginebra. 1952: Lanzamiento del Videomatic. 1954: Lanzamiento del Châtelaine. 1955: Lanzamiento del calibre 96 Piguet, el movimiento más fino del mundo (1,7mm de grosor). Gran éxito mundial, especialmente en Estados Unidos. The Ebel Beluga wrist watch series is specific to the ladies. The watch has a silver dial colour and a fixed bezel and also has the nice look as well. The movements are Swiss Quartz. The bracelet is made from stainless steel, and the watch is also water resistant up to 100 feet. The surface is made from scratch resistant sapphire. The Ebel 1911 series is another one for the ladies. Ebel 1911 women watch is made of solid stainless steel and are available in different inventive design and charming colours. It has the automatic movement, stainless steel case, and diamonds on the dial as well. 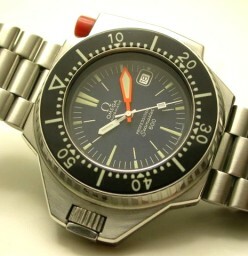 The dial is silver in colour for the fixed dial. This watch is also water resistant up to 50 meters and has a scratch proof Sapphire crystal. Ebel 1911 watch is very popular in the sober and decent ladies because it has the nice looking shape, look and style. The Ebel Discovery brand of watches is a gent’s collection. They are thicker than the ladies models and are 10mm in case thickness. The diameter is about 40.5mm. Ebel Discovery men watch has the fascinating and excellent bracelet of solid stainless steel with a black colour dial. Like its predecessors, this model is also water resistant and in fact is very good at that with a resistance of 200 meters. Also it comes with scratch proof crystal. Ebel Sportwave watches for the men and women in different inventive design and enchanting colours. Ebel Sportwave watches are available in many unique and exceptional style and design in the market easily and in affordable price too. Ebel sporswave watches have different dial back colours, automatic movement, different case design and case sizes. You can find the Ebel sportwave watches in both comfortable rubber straps and also in stainless steel and aluminium bracelet in different exclusive design and colour. Ebel Brasilia watches are available for both men and women in sleek case design in the market and at affordable price as well. Ebel Brasilia watches have the roman dial number, quartz movement, different dial colours, stainless steel bracelet in different colours and most of these series watches have the diamonds on their dial. Ebel Brasilia watches are very popular in the sober people due to its elegant design and nice-look. Ebel Tarawa watches are very famous and popular due to its unique sophisticated design and charming colours. Ebel Tarawa watches are available for both men and women in different inventive and gorgeous designs. 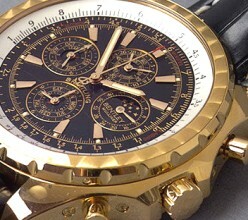 Ebel Tarawa watches have the different case style, chronograph, different dial colours, and the automatic movement. Ebel Tarawa watches are available in both comfortable leather straps and stainless steel bracelets as well. The most popular watches from this series are the Ebel Tarawa lady watches. These watches have fabric strap, diamonds on the dial, quartz movement, and different unique case design. 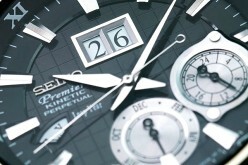 Ebel produces the elegance watches for the men and women in different stylish and unique design and colours. Ebel Classic Watches have the quartz movement, different dial colours, date, stainless steel case in different unique design and sizes. Ebel Classic Watches are available in the soft, comfortable leather straps and also in stainless steel bracelet in different attractive and exceptional designs and colours. Ebel Ebellissimo Tonneau Watches are the one of the most famous watches from the Ebel. These watches have the automatic movement, different dial colours, stylish case in different design, size and colours, unique comfortable, flexible crocodile leather straps in different fascinating colours. Ebel Ebellissimo Tonneau Watches are very famous or get popularity among the young people due to its unique and exclusive design and leather strap. Dónde Puedo LLevar a Reparar Mi Reloj Ebel?